The shooting: Police say the shooter entered the school just before 8am and opened fire with a handgun. First responders got to the school in about nine minutes, and a deputy arrested the suspect. "He was apprehended non-violently at the scene," says Lt. Michael Webb of the State Police, per NBC News. "There is no way to tell how far it would have gone." 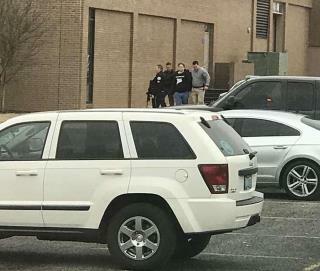 A school law enforcement or resource officer was at the school when the shooting occurred, per Kentucky.com. The motive: Police have not speculated on one. The suspect, who is expected to be charged with murder and attempted murder, was pictured being led away in handcuffs. This is tragic. Those who blame guns and want them banned have an unhealthy false sense of security and faith and believe they can trust their government whole heartedly. What will happen if law abiding citizens are disarmed? I don’t want to be around to find out. Look at China and some of the middle eastern countries where tyrants rule and the population has no means of retaliation, limited access to facts and so on. Many are starved, but who cares, on kimjununo has guns, he has no fear. Guns are deterrents the same way nukes are. i wonder what meds he was taking? anything psychotropic? Where do they find people dumb enough to make the comments below.